A unique and special holiday style this summer may be to charter a yacht in the Mediterranean or Aegean on a blue cruise. This is a superb journey filled with history, culture, tasty dishes, and interesting places of interest. It can be quite enjoyable without having to break the bank. These private yacht holidays offer an array of breathtaking destinations to choose from. The itineraries can be custom tailored to cater to your holiday expectations – from the type of places to see and choice in activities to do. Sometimes it may not be so easy to gather a group of friends or family from around the globe to embark on the same travel dates. Therefore, smaller sized boats for charter can be found, at very reasonable prices. These boat holidays from Turkey, do not require so many passengers and you can still enjoy the pleasures of being on a vacation at sea without a need for a large group. Normally large groups make for better pricing per person – the whole journey becomes more affordable. However there are charter boats that are well priced, and come with comfortable sized cabin accommodation. This can be found in a variety of gulet charters based in Turkey. A private blue cruise can still be quite luxurious while on a budget. You won’t find VIP standards, however, the boats may be clean, well maintained and the crew; efficient, professional and knowledgeable about the regions and services. Comparing it to some of the hotel accommodation, the fact that you are cruising at sea, with new destinations each day, enjoying great company and fresh meals on the deck, soaking up the rays under the Mediterranean sun, without fighting for a lounging chair by the pool – are just a few of these luxuries. In order to find a well-priced luxury yacht charter, you need to start out with a daily budget. This budget should take into consideration the rental price of the boat, the food menu, the drinks and possibly any harbour fees that may be required if you are going to be including the Greek Islands in your itinerary. All other personalized expenses could be souvenirs, water sports activities, land excursions, and anything else you like and wish to buy. Once you have a budget in mind, what is feasible and what is not can be determined from the offers you receive from one or a few yacht charter companies. This will give you an idea of what is possible in the charter holiday marketplace. A group of 4 – 6 guests can easily find a private yacht charter starting at around 500€ per day and go up. Any other boats cheaper than this price, may not bode well during your holiday travels due to a variety of obvious reasons. The price is also affected based on the time of year. The highest months generally are July and August; however, sometimes, boat owners will also consider the month of September to be the high season as well. 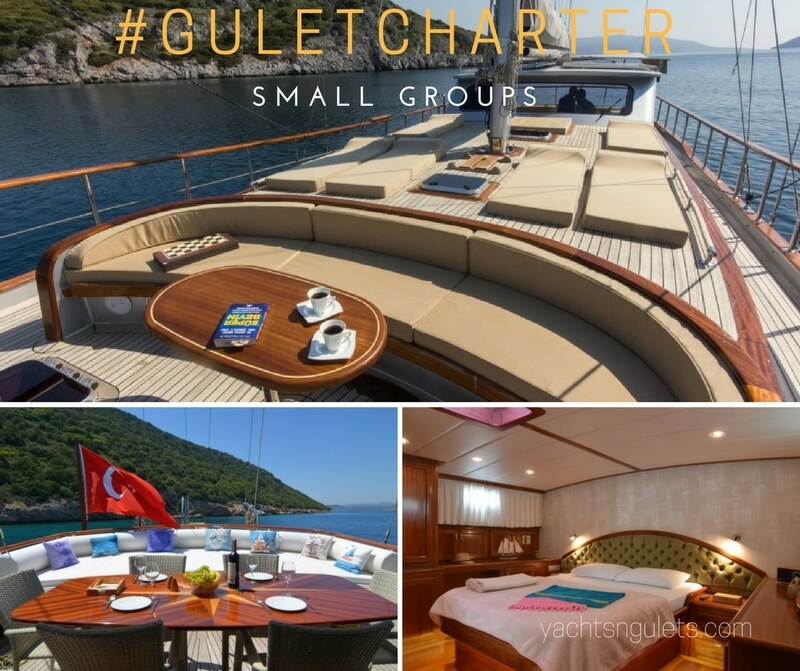 You can also hire a larger gulet, well looked after – for your small group for that added deck space. 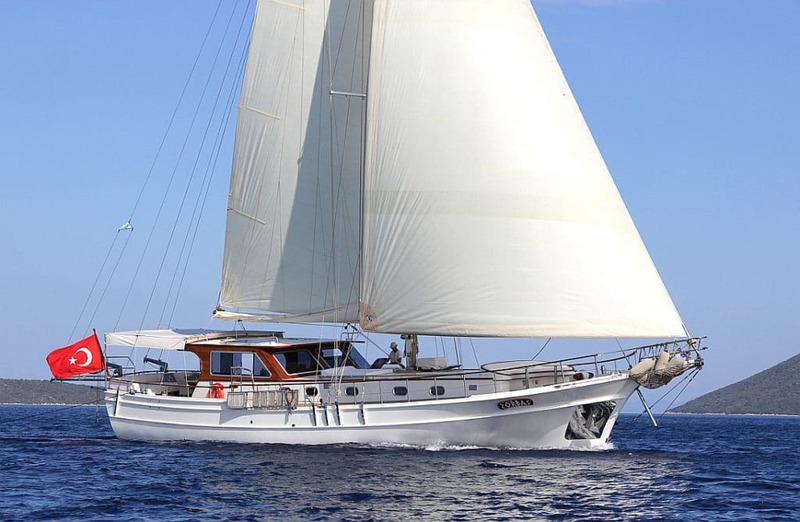 Are you a small group looking for a reasonably priced gulet to charter for your Mediterranean boat holidays in Turkey or Greece or both? Inquire with Mirya Yachting by filling out the form below! We would be more than happy to assist in planning your summer gulet holidays this season.